All of last week I wrote (actually, struggled with) my novel. And I watched TV. My son is vacationing and I have the TV for myself. I didn’t know what to see. 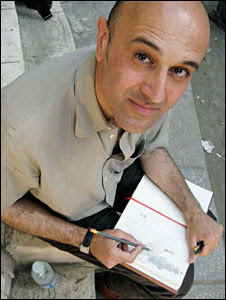 Flipping channels, I stopped at WNED and saw three back-to-back episodes of Science and Islam, a BBC documentary narrated by Jim Al-Khalili, a physicist and a professor at University of Surrey (pictured). It’s a fascinating documentary that dispels many western media-engineered myths about Islam; equally, it focuses sharply on the religion’s metamorphoses from an all-encompassing, knowledge-driven global force to an insular and one-dimensional entity. Globally, there’s nothing that can match the BBC in radio and television broadcasting. Then yesterday on the same channel, I saw Looking For Angelina, a gripping story of Angelina Napolitano, an immigrant from Italy who, after suffering many years of physical and mental abuse, finally axed her husband to death because he wanted her to turn into prostitute to earn money. The racially prejudiced trail and the campaign launched by a Chicago-based journalist in the United States to save Angelina from the gallows made for compelling viewing. Angelina’s story shows that even a century later conditions in immigrant ghettos remain nearly unchanged even if the ethnicity of the immigrants may have changed. The racial profiling and prejudice that the Italians experienced at the turn the last century, is almost the same that immigrants from the Asia face at present. Then as now, the ethnic community shun the victim and practice social ostracization; help comes from enlightened Canadians -- the court appointed advocate, Uriah McFadden in Angelina’s case. 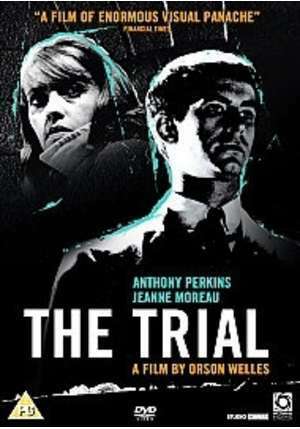 Finally, earlier today, I saw Orson Welles’ screen adaptation of Franz Kafka’s The Trial (1962). In my view, most screen adaptations never fully do justice to the novel, and they succeed as movies only because the director takes liberties to interpret the novel in her/his own vision. 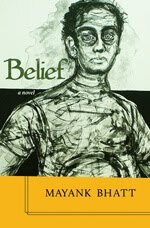 Some movies are able to transcend the limitations of a novel to become classics. 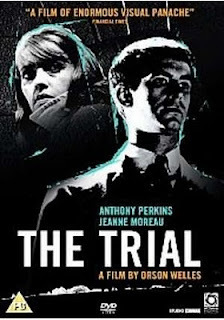 Orson Welles’ The Trial succeeds in capturing the military-industrial complex’s bureaucratic maze and monotony, as well as its sinister meaninglessness that Kafka was the first depict in his works.